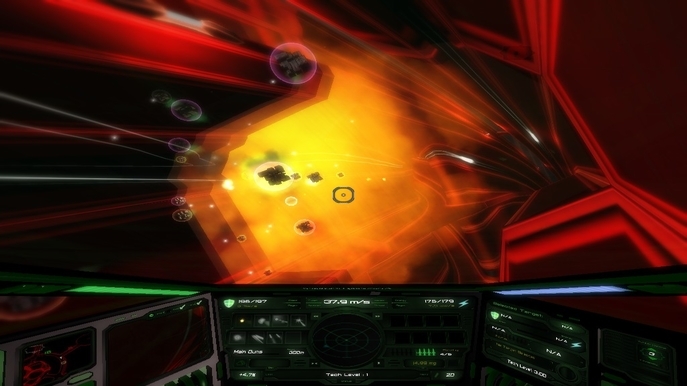 Intravenous Software has arrived from Desura all the way to Steam Early Acces with their sci-fi 1st person space shooter, NeonXSZ (apparently pronounced Neon excesses). This game brings back many oldschool shooting and mixing the regular cockpit simulator with RPG elements. Testing out this game for Early Access shows how much time is being dedicated to its development and to improve its experience, but what is its current state? In NeonXSZ, you choose a spaceship to control, ranging from amateur to pro gamers, each of the 3 options having different attack patterns. You fly in a cyberspace base that looks like the imaginary interior of a computer. You start in a green zone with friendly AI and can choose to exit out to the red area, of course against enemy AI. As you venture to this open world (and procedurally-generated worlds) you must get to the Sphere and complete its objectives while facing many enemy ships. You can choose to change your ship when buying a new “hangar”, check the Upgrades tab and more. 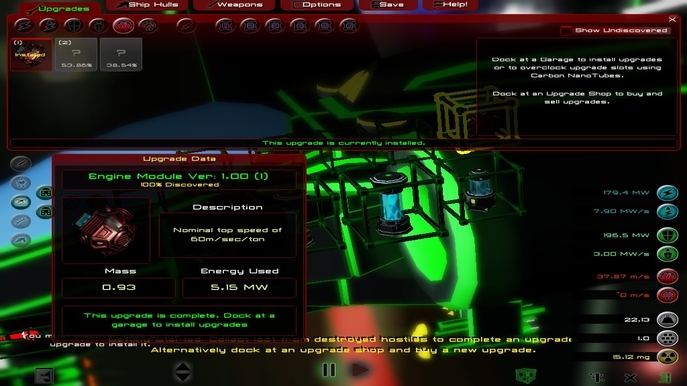 Nonetheless, the game starts with a simple tutorial showing you how the basic controls work, but they do not explain the whole Options UI, hence they offer you a Help tab filled with a lot of text showing you how every mechanic works, it’s a bit stiff so better wait for an Update for other ways of teaching new players the dynamics of gameplay. The customization window is simply filled with icons that you can read and intuitively know what they are, but obtaining new stuff is another deal. The controls can be a bit rough as you get used to losing your center of gravity, a controller is recommended of course since you’ll be dealing with AI that will try to flank you. So, where is the RPG element you may ask? Well as you defeat enemy ships they will drop components inside colored orbs, your ship can collect these and increase a percentage. This percentage will show how far you are into unlocking a new upgrade for your ship. This procedure can take very long at first while having to deal with overcomplicated menus and features that really shouldn’t be since the whole gameplay goal can be found very repetitive, fly around, find red ships, shoot them, collect, repeat. Sounds like a long adventure into having an invincible ship. You would expect that after hours of obtaining enough for a new upgrade you will notice the difference, but the thing is, progression takes way too long for it to be game changing. One interesting mechanic is the option to set the gamespeed with a slider, it works overall well without messing with the experience. Another slider I encountered is the difficulty setup, you can mess around with it and have a proportional effect towards the drop chance of new components and upgrades. 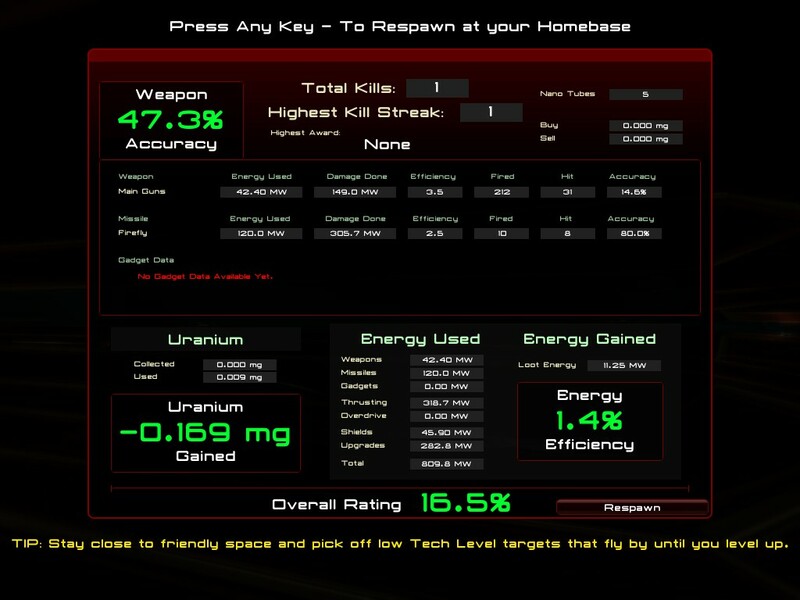 You ship runs on Energy, for either shooting, flying or for your shields, each being available for upgrade. You can easily select what to upgrade as you Right Click the screen and then simply click on the ship’s cube components. Other than those, you have many misc slots for customization. The OST of this game is of course very sci-fi, but it loops constantly up to the point where it can get annoying. You also have an AI with a cyber-voice filter constantly telling you about enemies nearby and how wrecked you are getting by enemy fire. As for sound FX, most projectiles don’t seem very impressive, these are regular sounds that don’t bring much of an impact when being shot or reaching a target. Graphically speaking, the visuals in the game show a lot of work put into it, then again as mentioned earlier, progression takes quite a bit, so you will get tired of looking at the same color pallettes in areas. 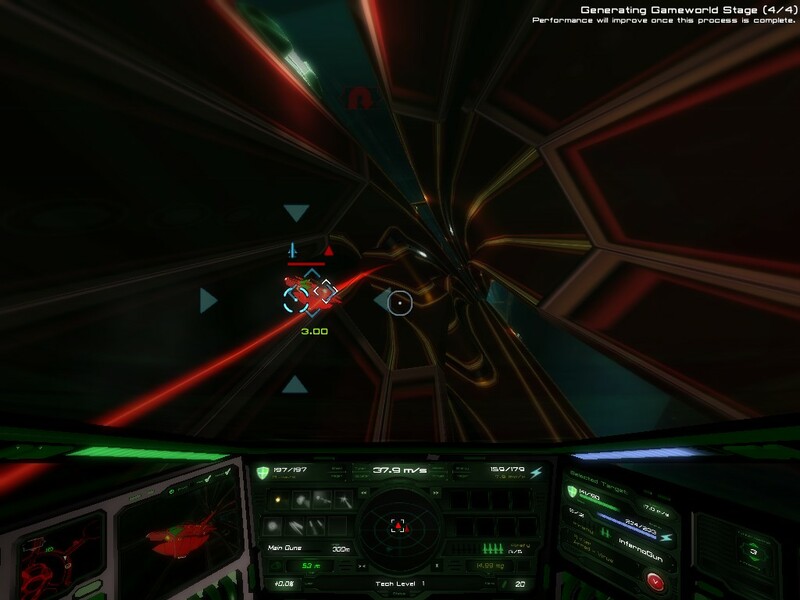 Of course the game is heavy on neon effects, and the whole design inside the cockpit is very detailed, even if understanding what the screens say are hard to comprehend. 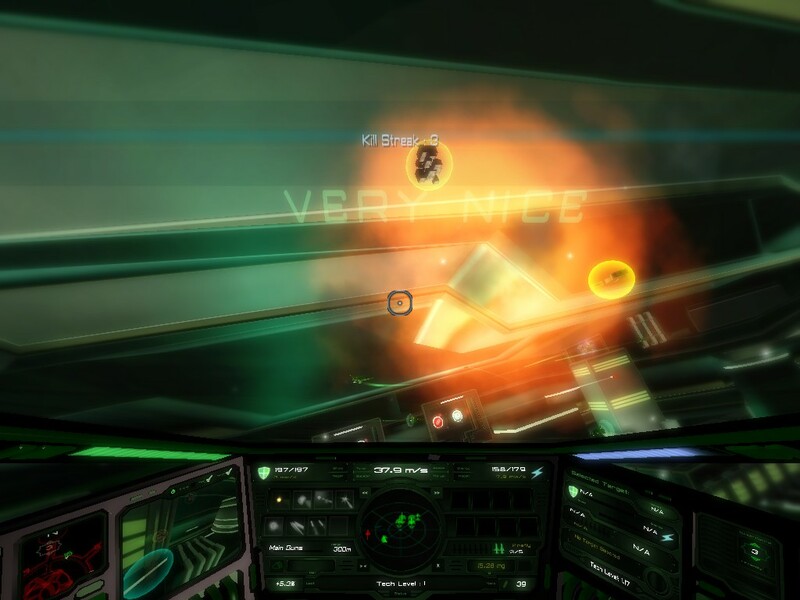 NeonXSZ is a sci-fi cockpit shooter with interesting RPG elements, whether progression takes a while, mostly the experience of simulated cyber flying makes it... mostly worth it. The game has a very dedicated developer who will constantly check for bugs and improve gameplay mechanics as much as he can. If you like these Early Access development journeys then go ahead and try it, otherwise, I’d suggest for a full release version.